Earlier this decade, Aston Martin rebadged a Scion iQ and sold the car complete with a wheezy 1.3-liter engine as the Cygnet. It was a cost-effective way for Aston Martin to get its average emissions down but, for obvious reasons, the car was a dud and thankfully killed off a couple of years after launch. 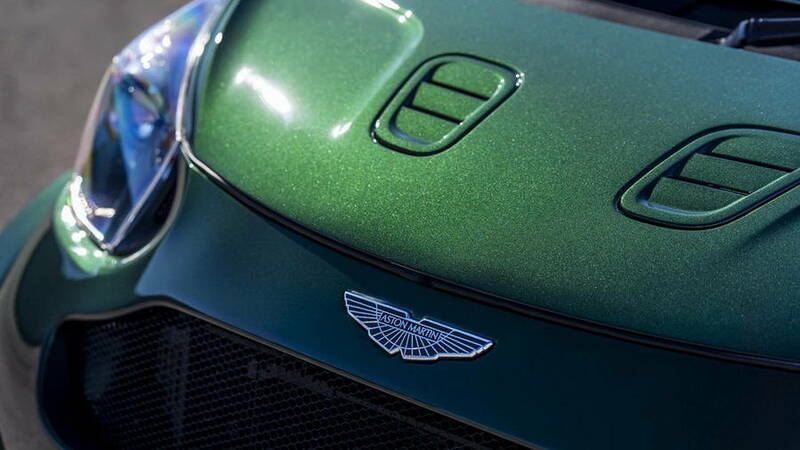 Recently, one Cygnet owner called on the Q by Aston Martin personalzation department to give his or her car the performance worthy of the badge on its nose. 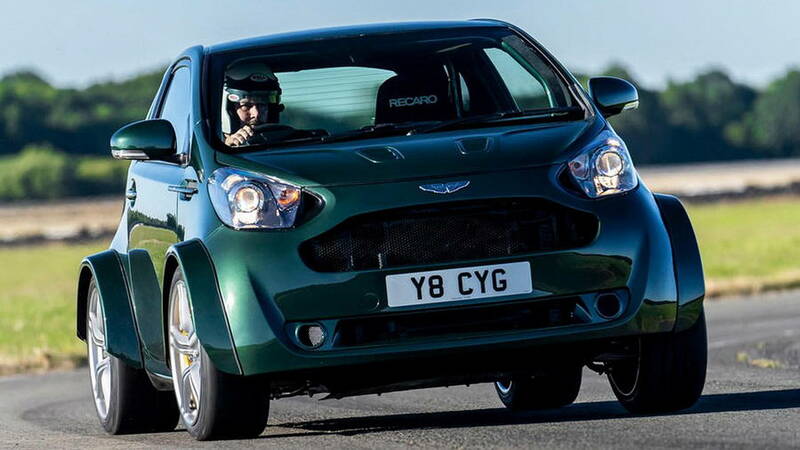 The result is the V8 Cygnet which Aston Martin unveiled Thursday at the 2018 Goodwood Festival of Speed. Somehow Aston Martin's engineers managed to shoehorn the 4.7-liter V-8 from the previous-generation Vantage into the tiny engine bay of the rear-engined, rear-wheel-drive Cygnet. The car also features the previous Vantage's seven-speed automated manual transmission, limited-slip differential, and suspension. 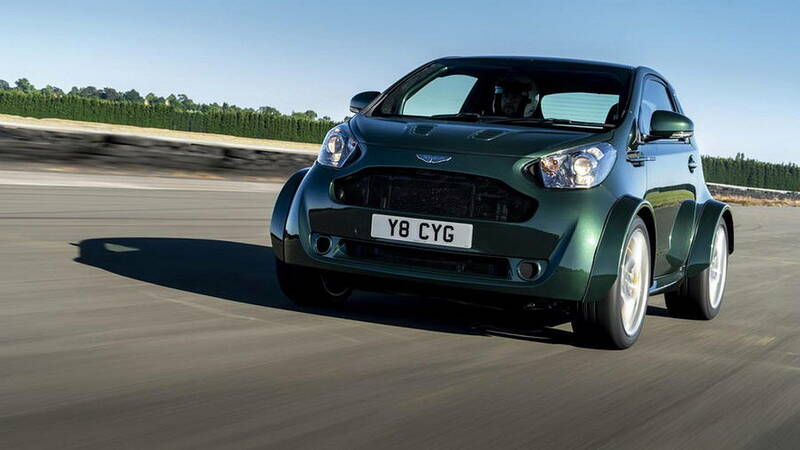 With 430 horsepower and 361 pound-feet of torque, Aston Martin estimates the V8 Cygnet will hit 60 mph in 4. 2 seconds or less and top out somewhere around 170 mph. 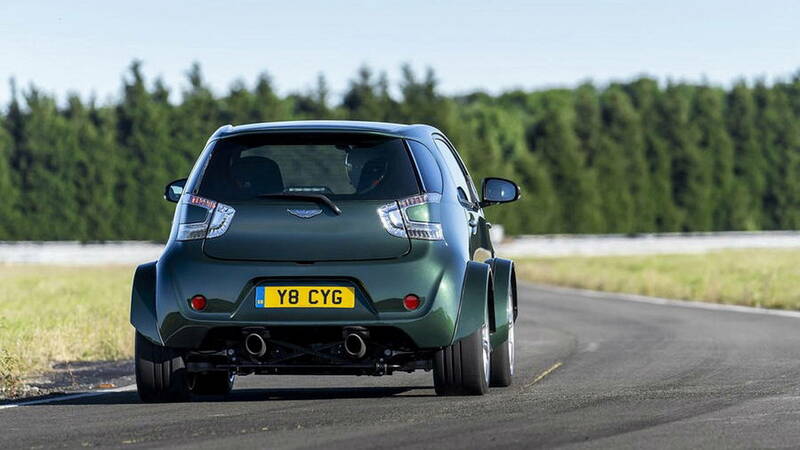 To ensure the Cygnet can make the most of newfound performance, the engineers swapped the tiny rear tires of the stock model with a pair of 275/35-size tires wrapped around 19-inch wheels. Slightly narrower 19-inch wheels and tires are found at the front. New carbon fiber fenders were cooked up to cover the new wheels and a roll cage was installed to toughen the chassis as well as provide extra safety in case of a high-speed mishap. Powerful brakes from the Vantage were also added. Up front are six-piston calipers with 15-inch rotors while at the rear are four-piston calipers with 13-inch rotors. At the rear of the car the distinguishing new feature is the central twin exhaust pipes. The exhaust is a bespoke system with twin underfloor mufflers and catalytic converters. 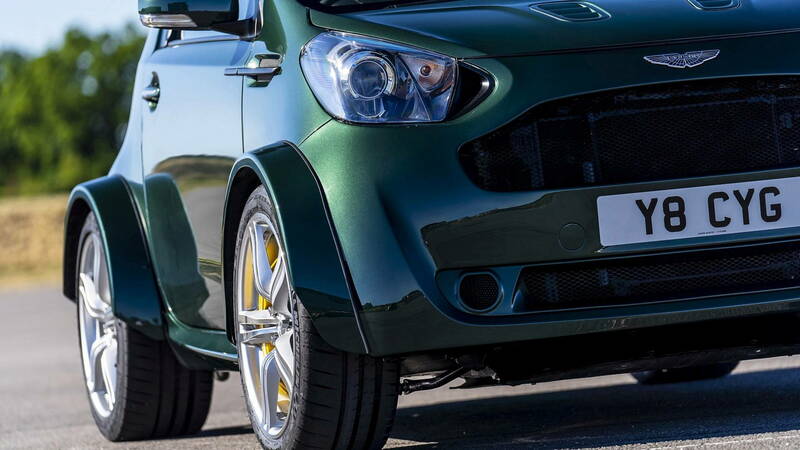 With relatively short distances involved from manifold to tail pipe, the V8 Cygnet has a mean exhaust note that you can experience in the video above. For more Goodwood Festival of Speed coverage, head to our dedicated hub.